LP. (Playable at any speed. ) Coruscating cut-ups yanked still dripping and yowling from the belly of the beast. Dazzling and invigorating, scary and discombobulating. ‘Psychic driving was a psychiatric procedure in which patients were subjected to a continuously repeated audio message on a looped tape, in order to alter their behaviour… often hundreds of thousands of repetitions of a single statement over the course of their treatment. They were also concurrently administered muscular paralytic drugs such as curare… The psychic driving procedure was a chronological precursor to Cameron’s depatterning, involving massive doses of ECT combined with similarly large doses of psychedelic drugs like LSD. 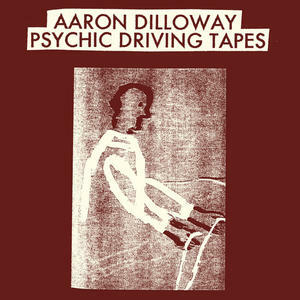 The intent was to break down the subject’s personality — theoretically psychic driving could then be used with some efficacy in establishing a new personality’ (Hanson Records).